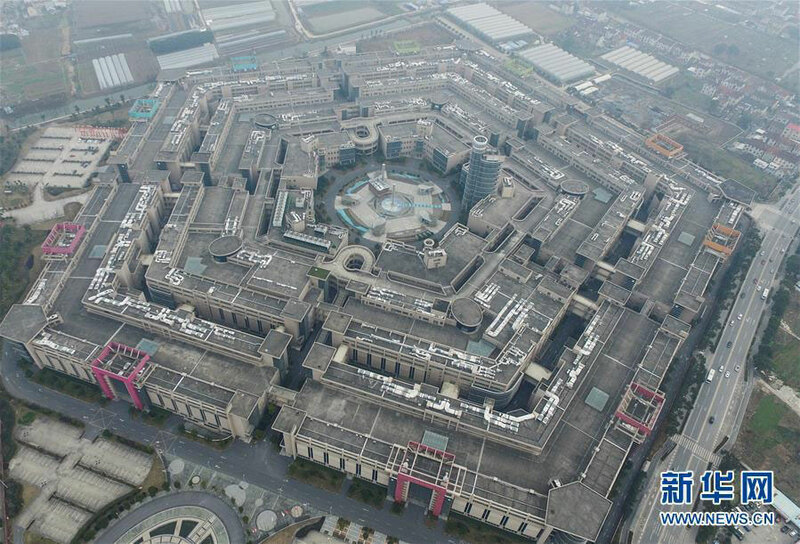 A Pentagonal Mart in Shanghai, a complex resembling the Pentagon in the US, has become the largest vacant building in Shanghai. Barely any person can be caught sight of in this colossal building. The Shanghai Pentagonal Mart, which was completed in 2009 with a total area of about 500,000 sq. meters, has been left behind vacant mainly because of its location and its confusing inner structures.